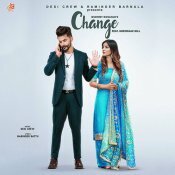 Gurmeet Dosanjh releases his brand new single entitled “Change” featuring Shehnaaz Gill & Desi Crew! Speed Records are proud to present the brand new single released by Jindu Bhullar entitled “Poh Da Mahina” featuring Shehnaaz Gill & Gag Studioz!! ARE YOU Shehnaaz Gill? Contact us to get a featured artist profile page.